We try to keep a close eye on Holden here in the United States as one of General Motor’s final remaining foreign divisions. Even as Holden has undergone a major transformation in the past two years, we can’t forget where the company came from. One of the latest episodes of “Up To Speed” focuses on our favorite Australian brand and does a decent job of walking through Holden’s long history, which begins in the 19th century. Holden first began as a saddle maker for horses but decided in the early 20th century to switch gears and try its hand at building car bodies. Holden worked to manufacture bodies for Ford and General Motors for imported cars. In 1931, Holden officially joined GM to become GM Holden in the country, however, it wasn’t until the 1940s that Holden came into its own with the introduction of the 48-215—the first car ever built in Australia. Over the decades, Holden gave birth to iconic Australian cars that include the Monaro, Torana, and of course, the Commodore. The Sandman gets an honorable mention for becoming a major cult classic down under. Along the way, Walkinshaw came into the picture to help Holden start Holden Special Vehicles, which became as synonymous with performance as Holden itself. As we know, things began to crumble down throughout the 2000s as the financial crisis hit and costs to build cars in Australia skyrocketed. In the early 2010s, Holden announced it would cease manufacturing in Australia, effectively bringing an end to Australia’s own car. 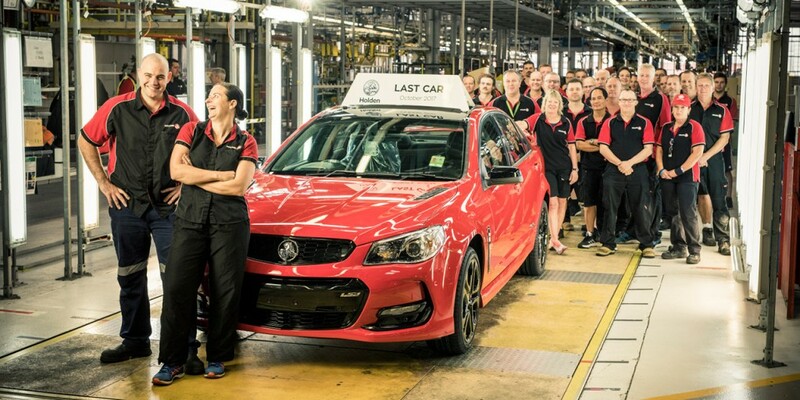 Today, Holden operates as a national importer and sources its vehicle lineup from GM brands around the world. Grab a look at the video above, and for those yearning for the full backstory on Holden, we recommend picking up a copy of “Holden: Our Car” for a detailed history. Actually General Motors Holden (GMH) did NOT offer a car under the brand name of ‘Holden’ until November 1948. 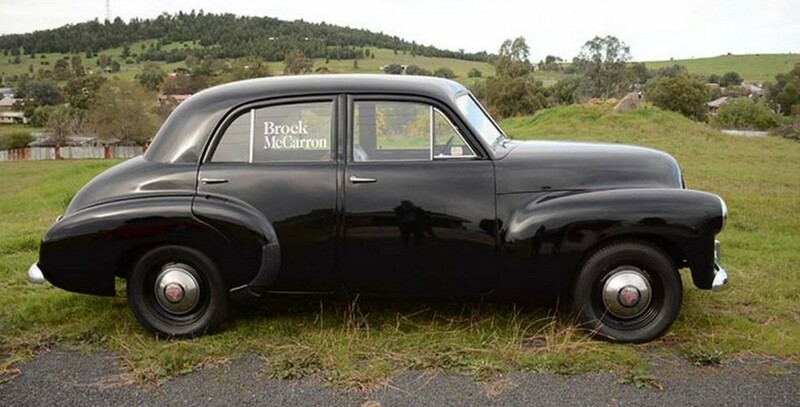 So for most of the 1940s there was no such car as a Holden. Until the mid 1970s GMH not only assembled the Holden in Australia but also assermbled Pontiac, Chevrolet, Vauxhall and Bedford cars and trucks. In fact GM-H dealers where never “Holden Dealers’ as is often incorrectly stated. They were and still are today GMH dealers that sold GM models including but not limited to the humble Holden. The design of most, if not all Holden models was based heavily on other GM designs such as Chevrolet, Heavy post Second World War import duites provided a market where GM could sell the very basic Holden and make serious profit. Of course those import duties no longer apply today and the accordingly it would not be economic for GM to continue building a car with any brand name in Australia. The ‘Holden’ brand has had its day and in reality existed for just 69 years (1948 to 2017). GM’s history in Australia is of course much longer and centred around Cadillac, La Salle, Buick, Oldsmobile, Pontiac, Chevrolet, Vauxhall and Bedford. Sadly many who write about GM-H in Australia choose to ignore these facts. A few fact straightening points here. There was never a Bathurst 500 kilometre race, it was 500 miles, the name changing to the Bathurst 1000 when Australia went metric in the early 1970s. The first Bathurst 1000 was run in 1973. In 1979 when Peter Brock won by 6 laps, he was already a legend, having raced in Monaro’s from the late 60s and winning the very last Bathurst 500 in 1972 in a Torana GTR-XU1. There are thousands of blokes walking around today with the given name of Brock. Tom Walkinshaw founded HSV, not Wilkinshaw. hIs son, Ryan, now running the show, importing Camaros to change to Right Hand Drive. Very entertaining, non the less. The claim in the video that the “Holden was the first car manufactured in Australia” is totally incorrect. That title belongs the Tarant which was manufactured decades before a Holden even existed. The video maybe entertaining for many viewers but it contains many historically incorrect facts.